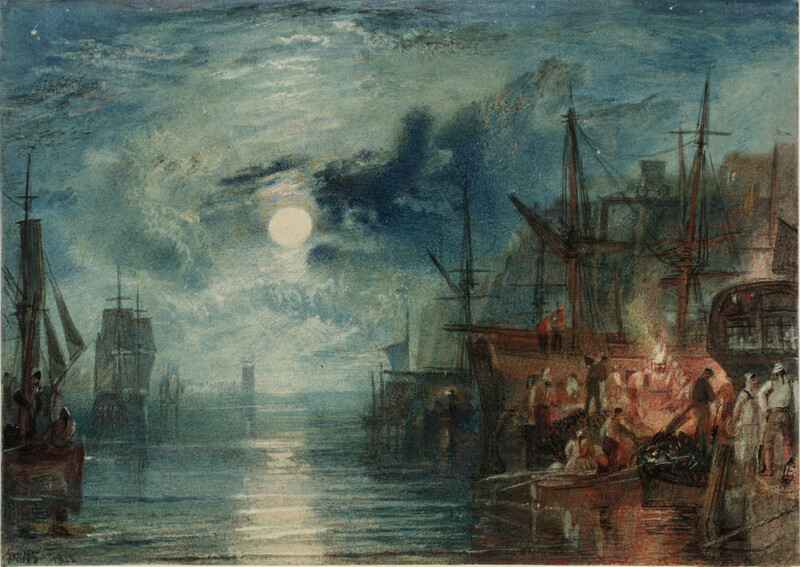 My friend Isabelle mentioned the Yemeni community of South Shields to me (she also sent me that amazing Turner posted above). Significant numbers of Yemeni seafarers, who used to work on British merchant vessels, settled in various coastal towns in Britain and established seafaring diasporas. The Yemenis of Britain are apparently one of the oldest Muslim communities in Britain – and the mosque they built in Wales is Britain’s oldest mosque on these isles. They presumably were first working in the port of Aden – which was so central to the trade in the Indian Ocean, although Aden has lost much of its wealth and is no longer the crucial trade node that it used to be. And an interesting bit of trivia: Muhammad Ali, The King, had his marriage blessed in the Yemeni mosque in South Shields in 1977. This entry was posted in Middle East, seafaring and tagged Yemenis in Britain. Bookmark the permalink.